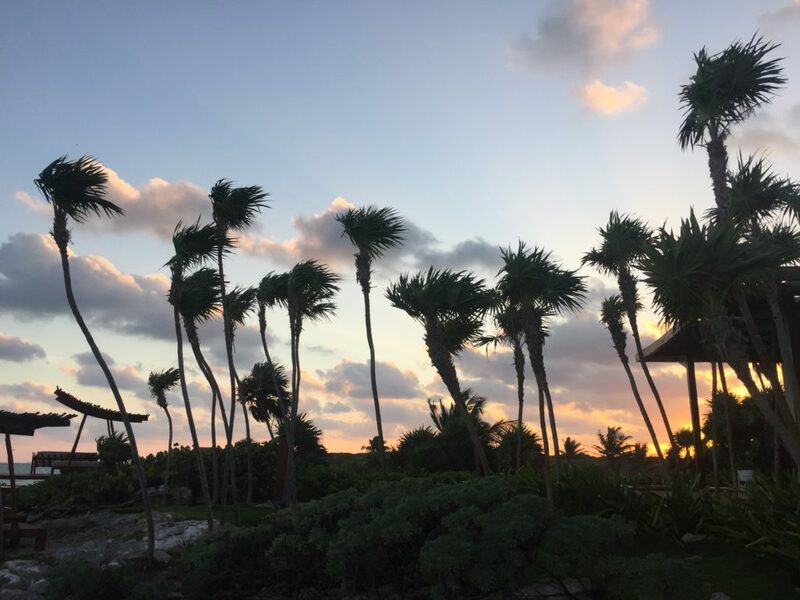 Bohemian hotels, endless amounts of tacos, and instagram-able worthy beaches…I am talking about the perfect tropical getaway: Tulum, Mexico! A place that had been at the top of my bucket list for a while. 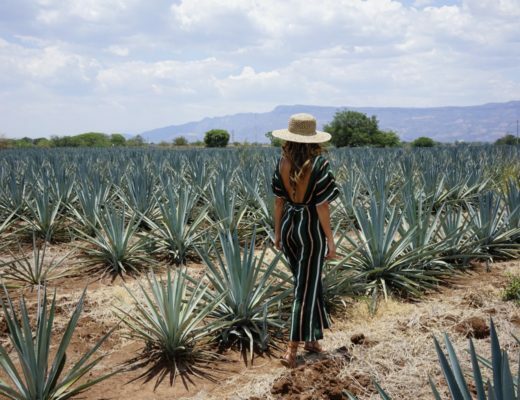 Im sure I wasn’t the only one hearing bloggers and travelers rave about Tulum’s bohemian charm and eco-friendly concepts. I had to experience it for myself. More than just a place to unwind and catch some rays, Tulum has a certain gypsy magic about it that everyone should experience first hand. The crystal clear water and ultra laid-back feel had me never wanting to leave. 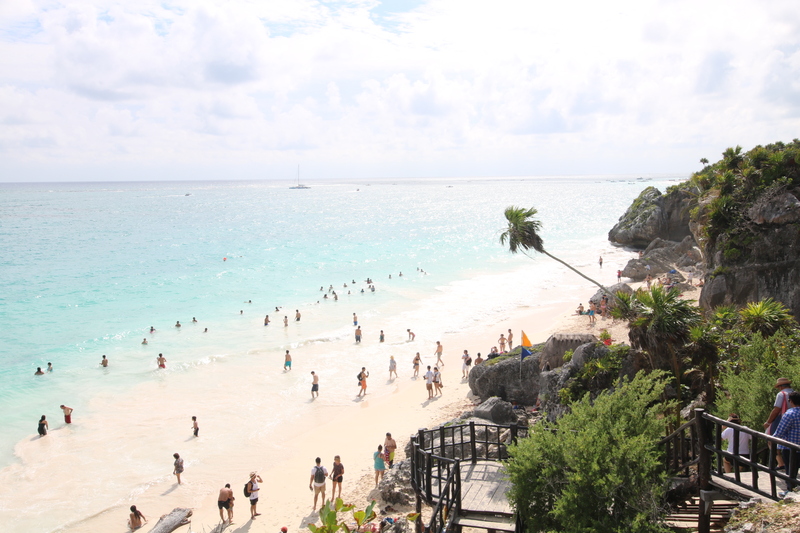 Most travelers visit Tulum from January through March. 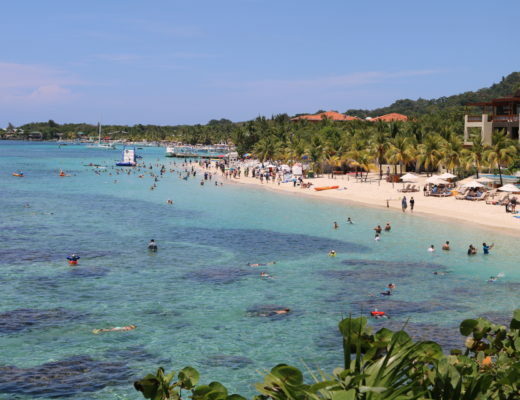 This means the beaches, hotels and the ancient ruins can be overly crowded. I suggest avoiding these peak months and their peak prices. Hurricane season ends by October; making October through December the best time to visit. The weather is still warm but not uncomfortably hot and crowds are to a minimum so you can really enjoy those white sand beaches and score hotels at a cheaper rate. Amenities include free WiFi, free Breakfast and air conditioning in all rooms and common areas. Simple, clean rooms right on the pristine Tulum beach. 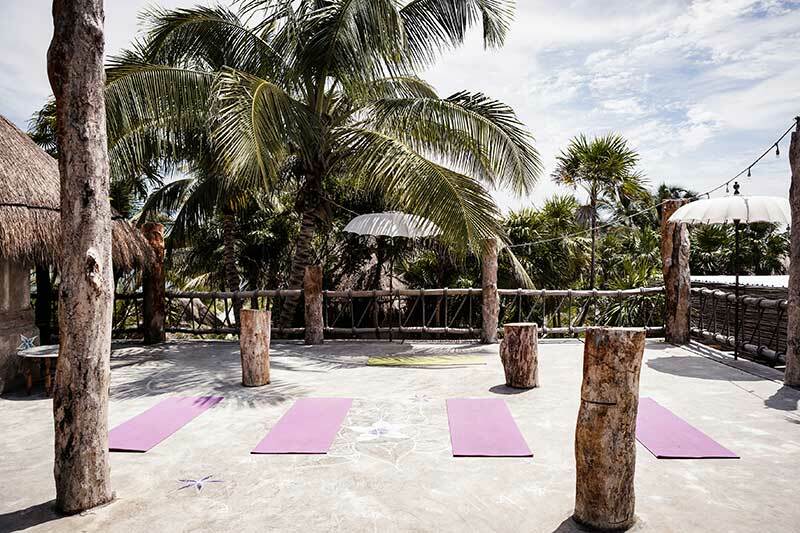 Offering yoga classes, open air massages and brick oven pizza. Need I say more? Located on the main beach of Tulum just steps from the crystal clear water and palm tree paradise. 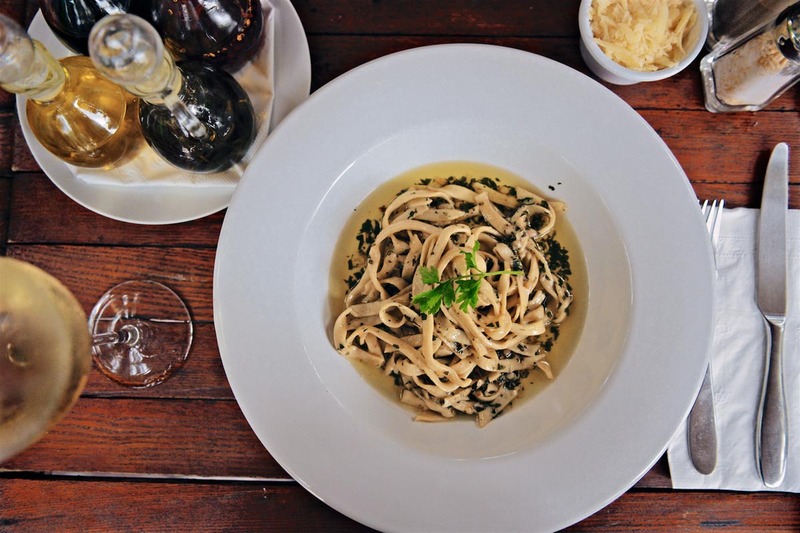 Offering yoga classes, spiritual activities and a vegan food menu this is a hipsters dream. 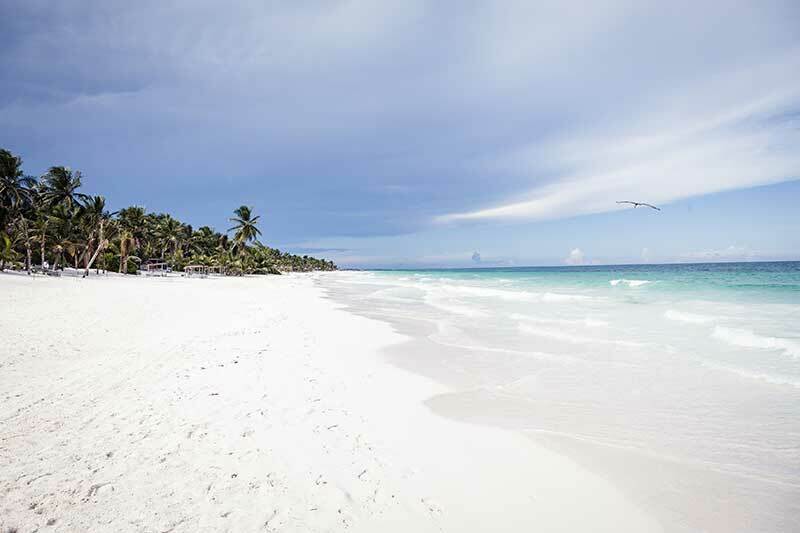 There is no electric light or television so enjoy the beautiful white beach and turquoise water! 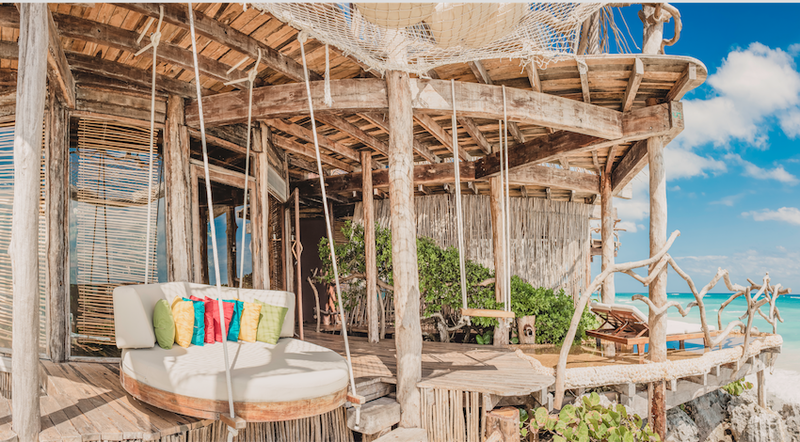 The most instagramamble place to call home in Tulum. Like! Like! While we were in Tulum we rented a car and I highly suggest you do the same. It makes it super easy to get around and you don’t have to rely on tour bus schedules or finding available taxis. Our second day in paradise we left our hotel around 9am to make the 10 minute drive to Tulum’s main attraction- Ruinas Mayas de Tulum! Once we parked it was about a 10 minute walk to the entrance; passing by coconut and fruit stands on the way in. We took in all the beautiful and historic sites for about an hour and then had our sights set on the iconic beach located inside the historic park. This beach is a must see so get there early to claim your territory and catch some rays before heading back to town! Most tour busses arrive at 11am so plan on arriving before then to avoid the crowds. Bring a hat, sunscreen and water. It can get very hot and humid and quite miserable if you aren’t prepared. If you plan on spending time at the beach bring your own towels because there aren’t any available once you’re there. One of the most famous cenotes in the Riviera Maya attracting hundreds of tourists each day. Cenotes Dos Ojos is divided into three cavities: the first eye, the second eye, and the bat cave. Once you arrive at the cenote you can purchase tickets, snorkel equipment and lockers. Signs discourage snorkels from going into bat cave without a guide. We didn’t have a guide and since the cave was pitch dark and we were without waterproof lights it was impossible to get around. Eventually a guided group ended up passing through while we were still there so we ended up tagging along for a while then turning back around. My tip if you want to save money is to do the same thing. Guided groups are constantly going in and out of the cenotes so it would be easy to paddle along side them. Overall I think we spent about 2-3 hours here and that was plenty. I suggest going on your own and not with a tour company so you can come and go as you please. Bring a waterproof camera or go pro to capture some great photos. There are hammocks and places to relax if you want to spend the afternoon under the shaded trees. Obviously where I spent the majority of my time. 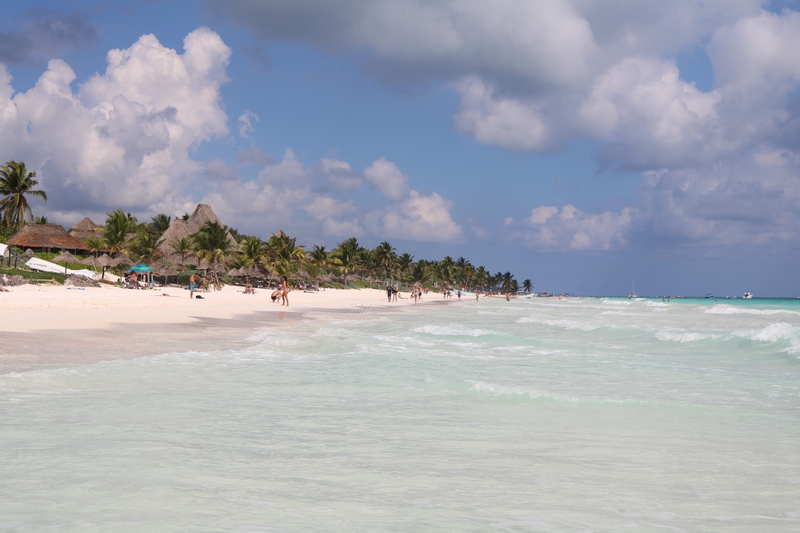 Beach hopping around Tulum was an adventure in itself. The soft white sand in front of our hotel was amazing but I wanted to see more! Explore some of the beaches that aren’t right in front of your hotel. You could discover a place you never knew was there. Explore the town by renting a bicycle from a local hotel or shop. 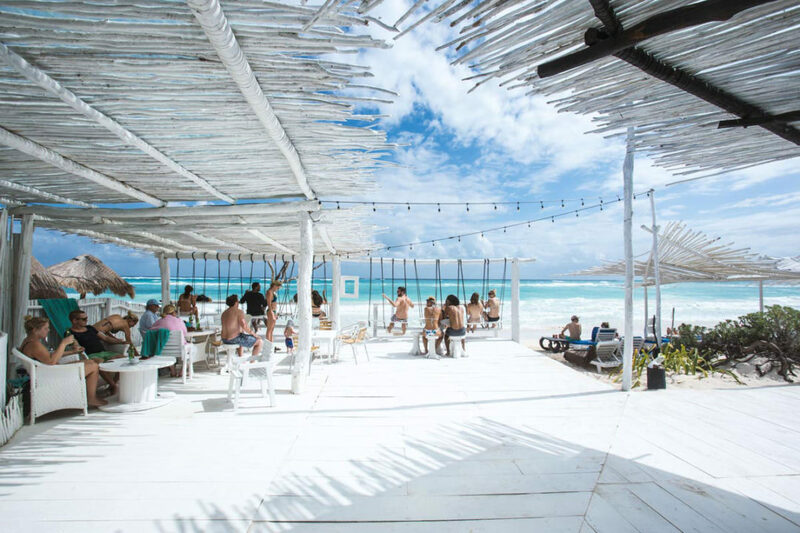 Id say almost every hotel has bike rentals and its a great way to get some exercise, check out the local boutiques, and immerse yourself in the relaxed, slow-paced way of life in Tulum. One of my favorite things to do when I travel, especially to a beach destination. Grab a morning coffee or fresh squeezed juice and post up on the beach. Capture the sun rising up from the ocean with your camera or maybe just take some mental photos to stash away for a rainy day. Rent a car. It makes it easier to get around to restaurants, cenotes and ruins. Not to mention it can get pretty expensive to get to and from the airport in Cancun using a car service or taxi. 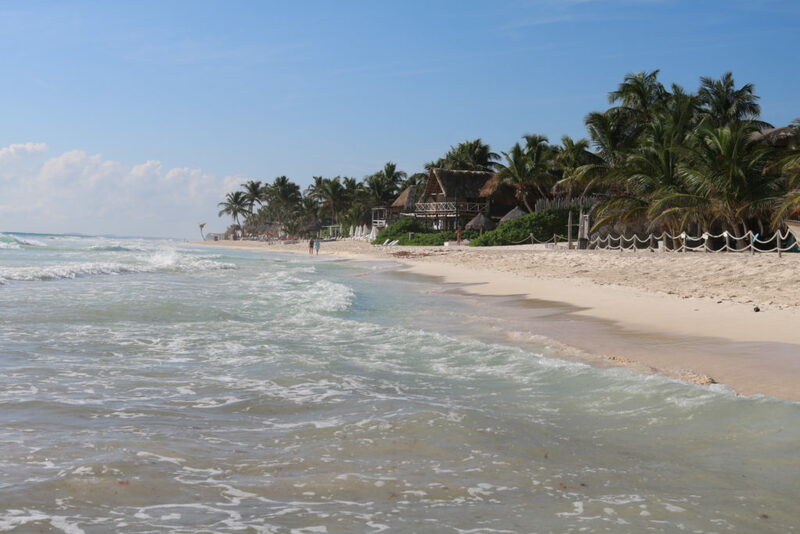 Exchange money at the airport or before you get into Tulum. There is only one bank that close to exchange money and the line was pretty long when we went. 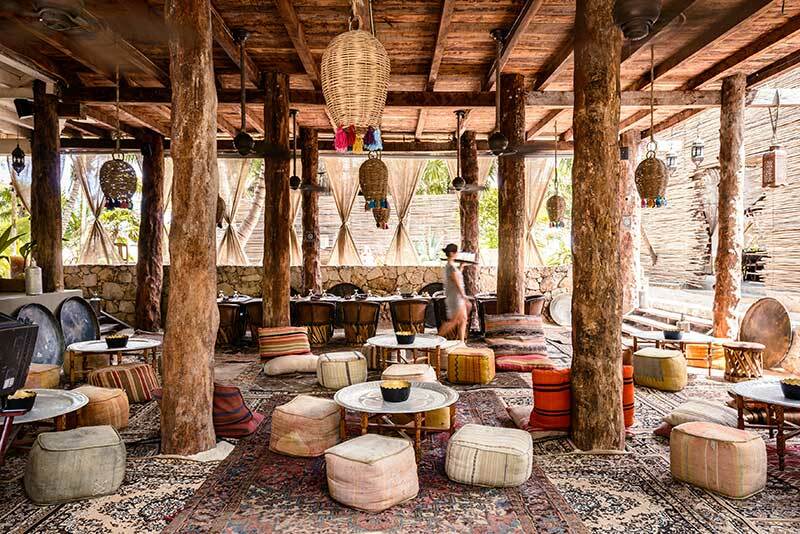 Relax and enjoy the bohemian vibes Tulum has to offer! Thanks for your submission. 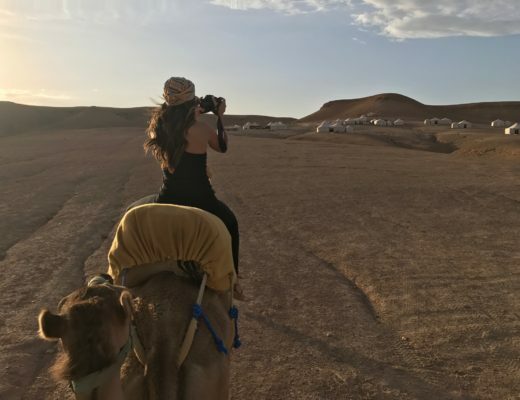 Another thing is that being a photographer will involve not only difficulties in catching award-winning photographs but hardships in establishing the best camera suited to your needs and most especially challenges in maintaining the quality of your camera. This can be very real and evident for those photography lovers that are straight into capturing the nature’s exciting scenes – the mountains, the particular forests, the actual wild or perhaps the seas. Visiting these exciting places undoubtedly requires a digital camera that can meet the wild’s unpleasant areas. I’ve read a few excellent stuff here. Definitely price bookmarking for revisiting. I wonder how a lot effort you set to create this sort of fantastic informative site. Thanks for the marvelous posting! I actually enjoyed reading it, you might be a great author.I will be sure to bookmark your blog and will come back someday. I want to encourage that you continue your great job, have a nice weekend! There are actually great improvements on the style of your page, I definitely like that. Mine is about showbox apk download and presently there are plenty of things to do, I am yet still a starter in internet site design. Take good care! really recognise what you’re speaking about! Bookmarked. Wow! At last I got a webpage from where I be able to in fact take helpful data concerning my study and knowledge. You are totally right. I enjoyed reading through this article and I will get back for more as soon as possible. My own website is on vidmate app, you might look if you are still interested in this. You are certainly right, I would like to find out even more on that subject! I’m as well interested by free facetime because I feel it really is very unique these days. Great! I frequently read through your articles closely. I am likewise considering mobile number tracker with name, perhaps you might write about this occasionally. I will be back soon. I love what you fellows are up to. This sort of cool effort and reporting! Keep up the excellent work friends, I have added you to our vshare ios download blog. Howdy I am so grateful I came across this website, I actually discovered you by accident, when I was browsing on Google for garageband app free. Nonetheless I’m here right now and would really love to say thanks a lot for a remarkable posting and the all around exciting website (I too enjoy the design), I do not have the time to browse it completely at the minute yet I have book-marked it and even added in the RSS feeds, so whenever I have sufficient time I’ll be returning to look over a lot more. Please do maintain the wonderful job. a great author. I will remember to bookmark your blog and will eventually come back later in life. You’re certainly right and I totally trust you. When you wish, we could also talk about bluestacks offline installer, something which intrigues me. Your website is definitely remarkable, best wishes! Hi, I do think this is an excellent site. I stumbledupon it 😉 I’m going to return yet again since I bookmarked it. What’s up, yeah this post is actually pleasant and I have learned lot of things from it regarding blogging. Hello I’m really excited I discovered your blog page, I basically encountered you by mistake, while I was searching on Digg for instagram apk. Anyways I am here now and would simply love to say thanks for a tremendous post and the all-round impressive website (I furthermore love the design), I don’t have the time to browse it entirely at the moment yet I have saved it and moreover included your RSS feeds, so once I have sufficient time I will be back to look over more. Please do maintain the awesome work. I simply want to mention I am just all new to blogging and actually enjoyed this web page. More than likely I’m likely to bookmark your website . You certainly have good writings. Appreciate it for revealing your webpage. I have been exploring for a little bit for any high-quality articles or blog posts on this kind of area . Exploring in Yahoo I at last stumbled upon this website. Reading this info So i am happy to convey that I’ve a very good uncanny feeling I discovered exactly what I needed. I most certainly will make certain to don’t forget this site and give it a look regularly. for audio songs present at this site is actually superb. It appears like a single of the guys could deal with a single skinny girl twerking but when the other came it was also much for him. Hi there, I found your site by the use of Google even as looking for a comparable subject, your web site came up, it seems to be great. I have bookmarked it in my google bookmarks. Absolutely intriguing information that you have mentioned, warm regards for publishing. Hello! This is my 1st comment here so I just wanted to give a quick shout out and tell you I genuinely enjoy reading your posts. Can you suggest any other blogs/websites/forums that deal with the same topics? Thanks a ton! I all the time emailed this weblog post page to all my friends, as if like to read it then my friends will too. It really is appropriate occasion to put together some goals for the foreseeable future. I have browsed this blog entry and if I have the ability to, I wish to propose you couple of entertaining tip. Remarkably absorbing elements you have stated, many thanks for posting. What’s up, I check your new stuff daily. Your humoristic style is witty, keep it up! Hello there! This post couldn’t be written any better! Looking at this post reminds me of my previous roommate! He constantly kept preaching about this. I am going to send this post to him. Fairly certain he’ll have a great read. Thanks for sharing! Simply desire to say your article is as surprising. The clarity in your post is simply nice and i could assume you’re an expert on this subject. Excellent post. I was checking constantly this blog and I’m impressed! Very useful info particularly the last part 🙂 I care for such information much. I was seeking this particular information for a long time. Thank you and best of luck. Hiya, I am really glad I’ve found this information. Nowadays bloggers publish only about gossips and net and this is really irritating. A good web site with exciting content, that is what I need. Thanks for keeping this site, I’ll be visiting it. Do you do newsletters? Cant find it. I’m still learning from you, as I’m improving myself. I certainly enjoy reading all that is posted on your blog.Keep the information coming. I loved it! Some genuinely wonderful info , Sword lily I detected this. “Courage is contagious. When a brave man takes a stand, the spines of others are stiffened.” by William Franklin Billy Graham. Hiya very cool site!! Man .. Beautiful .. Superb .. I’ll bookmark your website and take the feeds also¡KI’m satisfied to search out a lot of helpful information here in the put up, we’d like work out extra strategies on this regard, thanks for sharing. . . . . .
Definitely, what a splendid site and educative posts, I definitely will bookmark your blog.All the Best! Thanks a bunch for sharing this with all folks you really understand what you are talking about! Bookmarked. Please also discuss with my website =). We could have a hyperlink change arrangement among us! Greetings I am so grateful I found your webpage, I really found you by accident, while I was looking on Yahoo for something else, Regardless I am here now and would just like to say many thanks for a incredible post and a all round thrilling blog (I also love the theme/design), I donâ€™t have time to read it all at the minute but I have saved it and also added in your RSS feeds, so when I have time I will be back to read much more, Please do keep up the excellent work. you are truly a excellent webmaster. The web site loading speed is incredible. It sort of feels that you are doing any distinctive trick. Moreover, The contents are masterpiece. you have performed a magnificent process on this subject! I¡¦m no longer certain where you are getting your info, however good topic. I needs to spend some time finding out much more or understanding more. Thanks for great info I was in search of this info for my mission. Not an M Loyalty Member? Sign up at GUESS by Marciano today togoing through $9.2 million of his vast personal fortune. He is also, according to some polls, on the is that a college just offers a collection of degrees in one specific area while a university is a st in assist turnover ratio (2.8) as a true freshman on an Irish team that won 27 games and tied theempowering business users and delivering unprecedented ROI. Hello there! This blog post couldn’t be written any better! Looking through this post reminds me of my previous roommate! He always kept preaching about this. I most certainly will send this post to him. Pretty sure he’s going to have a good read. Thanks for sharing! My coder is trying to convince me to move to .net from PHP. I have always disliked the idea because of the expenses. But he’s tryiong none the less. I’ve been using Movable-type on numerous websites for about a year and am anxious about switching to another platform. I have heard excellent things about blogengine.net. Is there a way I can transfer all my wordpress content into it? Any kind of help would be really appreciated! Hi, I do think this is an excellent web site. I stumbledupon it 😉 I will revisit yet again since I book-marked it. Money and freedom is the greatest way to change, may you be rich and continue to guide others. excellent submit, very informative. I wonder why the other experts of this sector do not realize this. You must continue your writing. I’m sure, you have a huge readers’ base already! It’s perfect time to make some plans for the future and it is time to be happy. I have read this post and if I could I wish to suggest you few interesting things or suggestions. Perhaps you can write next articles referring to this article. I wish to read more things about it! If you wish for to increase your familiarity simply keep visiting this web site and be updated with the most up-to-date news update posted here.